F103D is one of the most energy-efficient small PC. This nettop dust and shock proof mini PC is based on Intel's Celeron N3150 uses only 6W of power. Giada F103D with 2 LAN ports can become the most impressive small format PC on the market due to it's performance, and energy consumption. 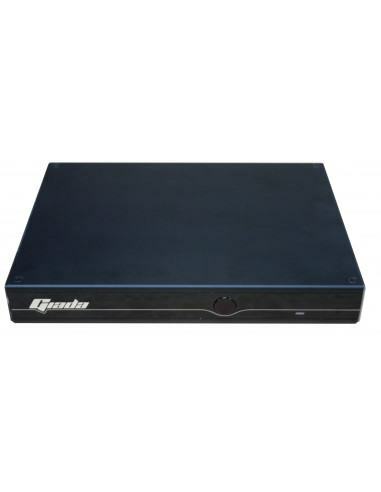 Perfect for small file server or NVR. Low-carbon Life: about 15W power consumption. Operating tempertature: 0 to 40 deg.